TA-31 German destroyer, flooded in Genoa, Italy. The former Italian destroyer Dardo on September 9, 1943, on the day of the conclusion of an armistice between Italy and the Allies, was captured by the Germans during the repair of the ship in Genoa. On June 17, 1944 the ship was renamed “TA-31” and became part of the 10th fleet of the destroyers Kriegsmarine. On October 25, 1944, when the destroyer was undergoing maintenance at the shipyard in Genoa, it was damaged by an American bombshell and was excluded from the fleet lists. 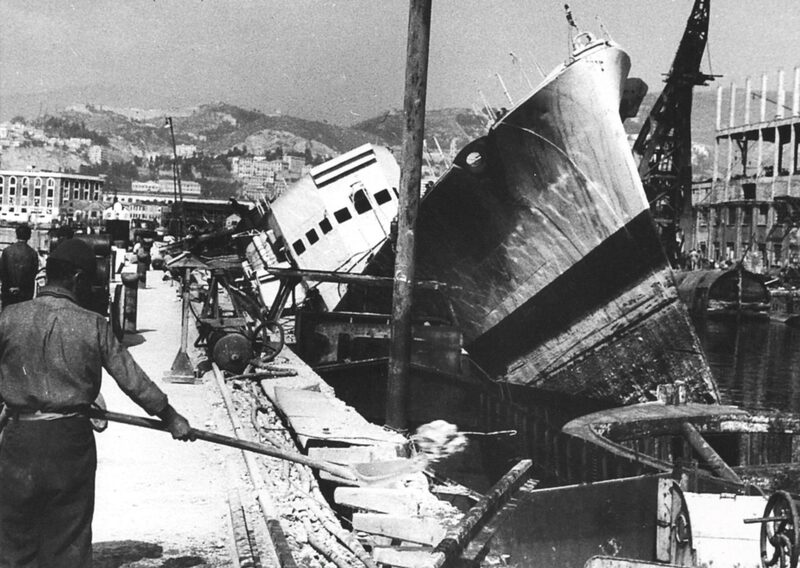 On April 24, 1945, TA-31 was flooded in the port of Genoa and dismantled after the war.